Creative producer Ritesh Sidhwani has been basking in the success of his back to back hits Gully Boy as well as Made in Heaven, taking a break from the jam-packed schedule, Ritesh took a break to spend some quality time with family. The filmmaker flew down to Rajasthan, along with his wife and two sons to take a couple of days off work. 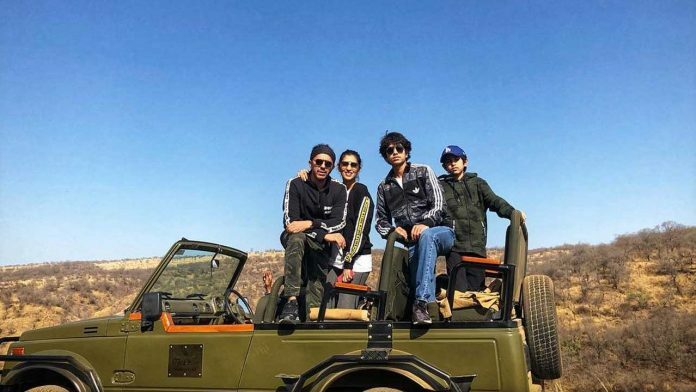 Enjoying the Safari in Ranthambore, Ritesh Sidhwani shared his happy pictures on social media. Ritesh Sidhwani took to Instagram to share interesting pictures of nature and wildlife where he spotted a Tiger and along with his family were seen enjoying the leisure time to invest in dwelling into the natural beauty. Starting the year on a high note, Ritesh Sidhwani delivered the blockbuster entertainer Gully Boy, after which the pioneer of digital platform in India, treated the audience with yet another intriguing series Made in Heaven. Ritesh Sidhwani’s banner Excel Entertainment has vouched for content since inception and continues to present stories that stay etched in everyone’s minds. Backing rooted stories like Fukrey, Fukrey Returns, KGF, Gully Boy on big screen, creative producer Ritesh Sidhwani has carved a place for himself amongst the classes as well as the masses. One of the leading production houses to venture into the digital space, Ritesh Sidhwani has tasted back to back success with his OTT series Inside Edge, Mirzapur, and Made in Heaven. Currently, taking a break with his family, the filmmaker will dive into work to present ‘Toofan’ starring Farhan Akhtar, KGF chapter 2 which recently shot the muharat, Inside Edge 2 which has been on floors since a while, and Mirzapur 2.